Dimensions 1.75 by 7.50 by 9.50 in. 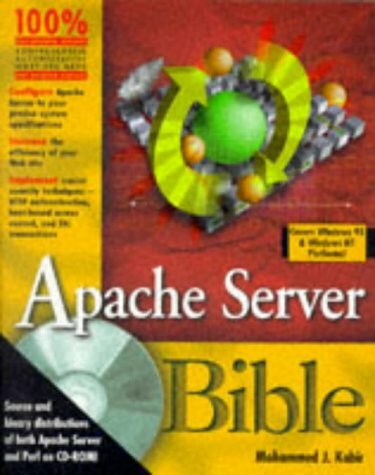 Amazon.com description: Product Description: A one-stop reference goes beyond content development to focus on issues that matter most to Apache administrators: deployment, configuration, security, and management, with a CD-ROM that includes utilities and products for easier installation and management. Original. (Advanced). About: A one-stop reference goes beyond content development to focus on issues that matter most to Apache administrators: deployment, configuration, security, and management, with a CD-ROM that includes utilities and products for easier installation and management.